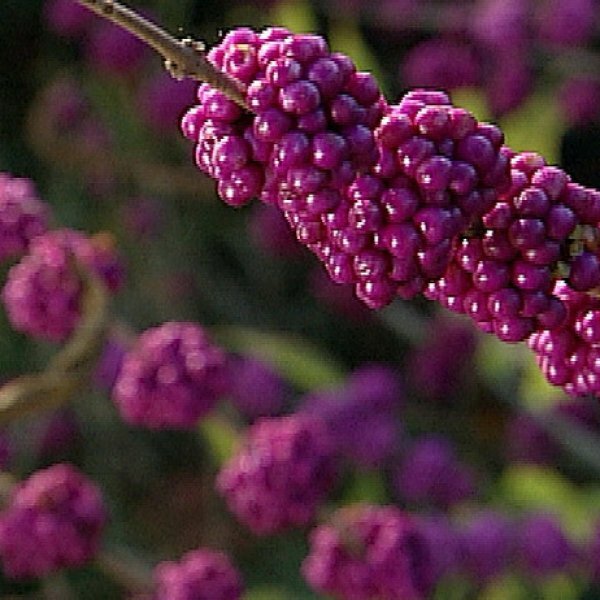 The arching branches and unusual violet purple berries of American beautyberry are the main selling points of this hardy deciduous shrub. Native to southeastern America from Texas across to Maryland, this interesting wild shrub is similar to Asian beautyberry species but has a rougher, more informal look. 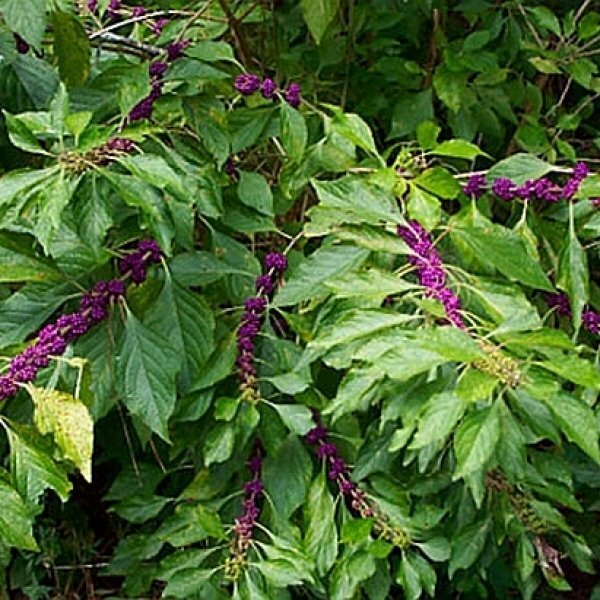 Mature specimens are large, bushy and develop either a horizontal or upright habit. Native populations exist in open woods and thickets. American beautyberry has long arching stems lined with soft pale green leaves that are opposite to one another. The foliage turns muted yellow-green in fall. 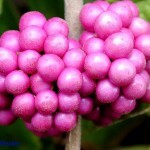 In midsummer, clusters of lavender-pink flowers appear at the base of the leaf stems. 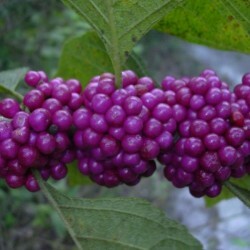 These are followed by berries that turn from green to vivid violet-purple later in the season. Butterflies are attracted to the summer flowers and songbirds eat the fall fruits. The fruits are edible - juicy, sweet, fleshy, slightly aromatic. The fruit is about 6mm in diameter. 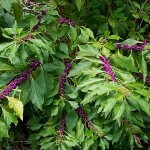 Landscape uses - Trouble free plant in informal, naturalistic garden settings. Germination Scarification: Soak in water, let stand in water for 24 hours. Stratification: stratification improves germination, so it is recommended for 60-90 days. Germination: sow seed 2 mm (1/16") deep, tamp the soil, mulch the seed bed.